We had a very special picnic party yesterday afternoon. Teaming up with local businesses to raise funds for the NSPCC. The girls were very excited they were meeting friends to play with and meeting new people too, a real community spirit to get everyone involved. Our Picnic party was held at a local paint a pot shop, this meant whatever the weather we could have fun and also we had a great location for everyone to join in. 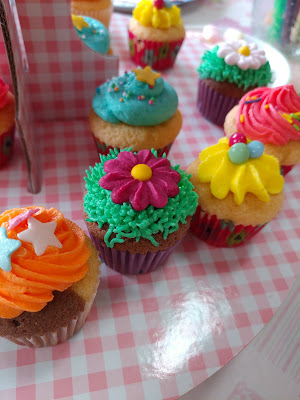 After choosing what to paint and what colours we would need some rather amazing home made cupcakes were revealed. Our Picnic party was in full swing with lots of children painting and enjoying themselves. Those who finished painting took part in some In the Night Garden activities, including pin the blanket on Iggle Piggle and making Pontipines. We had music and dancing and everyone had lots of fun. 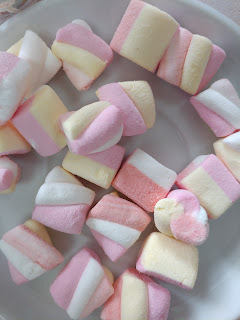 Hot chocolate and marshmallows were available for the kids too, a fantastic afternoon tea party. 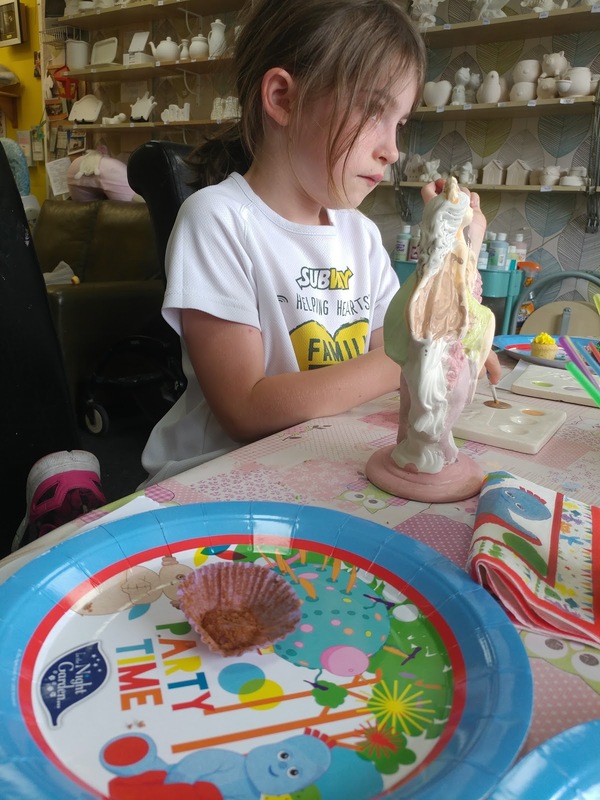 Little Man even painted and we had children of every age painting and joining in the fun whilst raising money for the NSPCC. 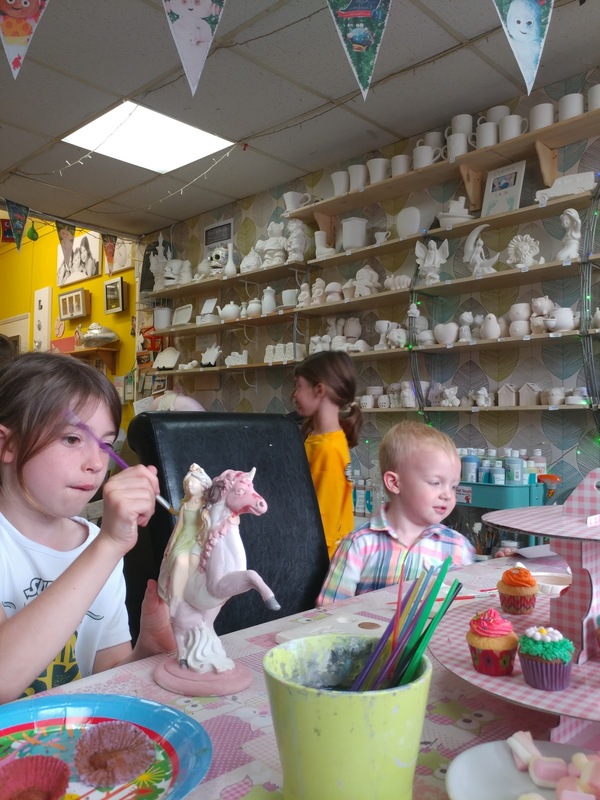 In the Night Garden was a huge hit with the younger children, who painted smaller items and were done quicker, whilst the older children took longer over their items. - £5 could answer a call to the NSPCC helpline from an adult who’s worried about a child. - £60 could pay for the Speak Out. Stay Safe. programme to reach 20 primary school children. - £200 could answer 50 calls to the Childline service from children who feel like they have nowhere else to turn. 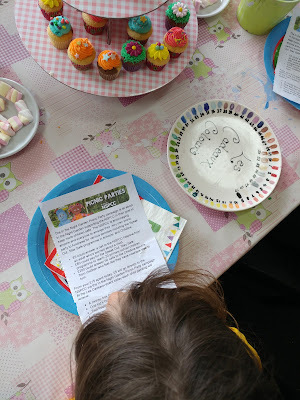 Everyone had loads of fun and such an amazing time at our In the Night Garden Picnic Party. 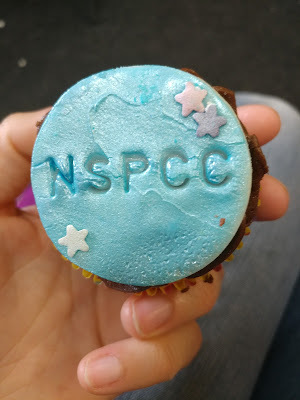 We raised money for the NSPCC and got to eat lots of cake! Thank you to everyone who came and to all those who donated. Also a big thank you to all the local businesses involved!